With CarPlay having been demonstrated heavily by Apple and its auto partners over the past couple of days, we have more than a slight inkling that iOS 7.1 won’t be too far away. After all, betas of the forthcoming release have served as virtually the sole source of information pertaining to the in-car flavor of iOS, and although the automobiles themselves won’t be shipping just yet, it would make sense for Apple to begin distributing the necessary iOS updates as soon as feasibly possible. Previously, we’d heard that iOS 7.1 would hit the scene "mid-March," and now, as surmised by the folks of Daring Fireball, it could be set to make its début in the next few days. The upcoming iTunes Festival kicks off in precisely one week, with a bunch of well-known artists having been drafted in for the annual event. Apple regularly gives tickets away for free for the celebration of the Cupertino company’s iconic Music Store, but for those who don’t manage to get hold of one, there are live streams of performances beamed straight to iTunes Festival app. Daring Fireball has heard through "a little birdie" that the iTunes Festival app will require iOS 7.1 in order to run, though, and since this release has not yet been distributed, we can expect it to manifest itself during the course of the next few days. So, assuming that the informant is correct with regards to iOS 7.1 being a requirement for streaming this year’s iTunes Festival, it looks as though we’re less than a week away from the first significant update to iOS 7. As well as adding support for CarPlay, formerly known as iOS in the Car, iOS 7.1 is expected to bring a few visual alterations to the fold, as well as the usual spate of bug fixes and general performance enhancements. 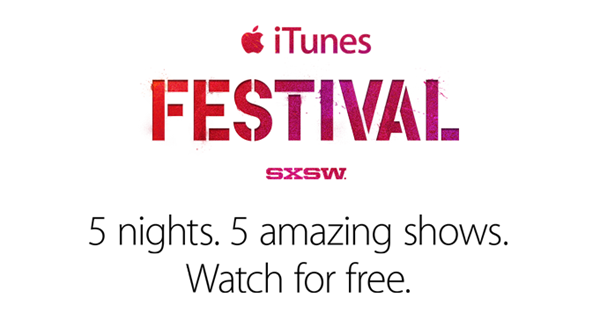 The iTunes Festival, which, incidentally, is the first to be held in the United States, will take place in SXSW in Austin, TX next week on Tuesday. We’ll be keeping our eyes and ears open for any more news regarding the hotly-anticipated release of iOS 7.1, and will be sure to give you guys the heads up as and when it arrives, so stay tuned!